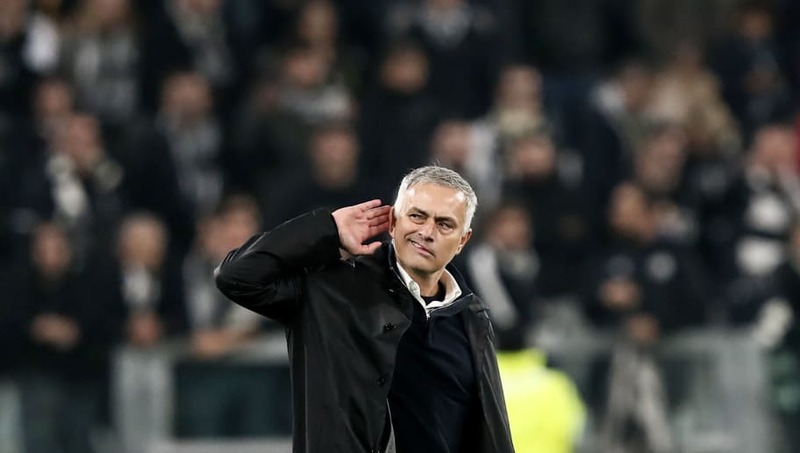 Jose Mourinho defended a provocative gesture that he made in the direction of Juventus supporters after Manchester United shocked the Italian champions with a come-from-behind victory in Turin. Two goals in the last five minutes gave the Red Devils a crucial 2-1 victory that puts them on the brink of qualifying for the knockout stages of the Champions League. ​United played adventurous football from the first whistle and Mourinho was full of praise for how his players had applied his instructions. "We can’t be better than this, we came here to play against a team with different potential and objectives than us," he said, quoted by ​Gianluca Di Marzio. "But since the first minute we tried to win and played a very positive match. We played with a more closed off midfield giving more freedom to ​Alexis Sanchez and trying to take Chiellini and Bonucci away from the defence." Mourinho, who had received abuse from ​Juventus fans for his Inter ties, raised a hand to his ear after the full time whistle at the Allianz Stadium, deliberately goading the home fans. "I was insulted for ninety minutes, I do my work and nothing more," said the United boss. "At the end I didn’t insult anyone I just did the gesture that I wanted to hear them more. "I wouldn’t do it again. But I came here as a professional that does his work and people insulted my family, this is why I reacted this way. I don’t want to think about it." United will qualify for the knockout stages on matchday 5 if they beat Young Boys at Old Trafford and Valencia fail to beat Juventus in Turin.